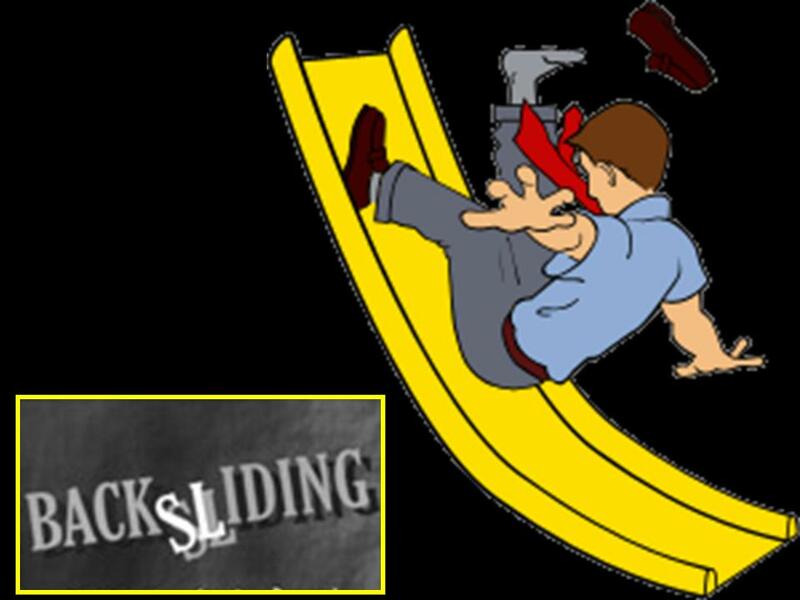 Why is it so easy to backslide? I have been through this many times. Giving my life to the Lord, then I backslide, only to have repeated this over and over again. What am I doing or not doing that makes me go back and forth the way I do. Whoever said being a Christian was easy is VERY mistaken. It is by FAR the most difficult thing I have ever done was being a Christian. WHY you say?? Well Satan is there by your side all the time just like Jesus, however he is there trying to tempt you, tells you that you are not good enough etc. He is there standing by to watch you fall, and believe me when you do he is the first there to be the wolf with sheep’s clothing and he knows it is easy. Being a Christian you face so many obstacles once you give your life to the Lord, Satan will go into overdrive the temptation will double you will be ridiculed and judged. All you can do is be strong, have faith and pray. Ask the Lord to be with you all the time to protect you from the evils of this world. So here is how I see it and this comes from my OWN personal experience, for I too have gone back and forth from serving the Lord to living my life the way choose to live it. When I first became a Christian I was on fire for the Lord, my life was great and things were going well, then eventually I would go back to my old ways and slowly but surely I forgot about the Lord I stopped going to church, stopped reading my bible, one other VERY important thing I noticed is that my life FELL apart. Things just started going wrong. I would often sit and asked myself what I did to deserve all this, to deserve the struggle, heartache and pain. The answer is clear it’s not what I did it’s what I didn’t do that caused my life to fall apart. It was because I did not invite Jesus back into my life, He was not there to give me peace and to make me feel loved like I did when He was part of my life. Which brings me back to my question why is it so easy to backslide. Yes when you give into satan’s temptations things go great for a while until he has succeeded 100% in getting rid of the Lord in your life, then he does not care that’s when things go wrong, I mean he has you now, why does he still need to tempt you with money and all your hearts desires? I remember what my life was like without the Lord and what it was like with Him, and although being a Christian is by FAR harder than not being a Christian, it is also by far better, being a Christian I feel at peace with myself, I feel loved and happy, I feel safe, I feel like I can do anything and conquer anything. I feel inspired, I am passionate about the Lord, and quite honestly I don’t care what anyone thinks about me, you can think I am crazy and I have lost my mind but there are 2 roads I can take, on my left is the narrow and extremely bumpy and on the other the wide and smooth, the left being the life with the Lord, and the other being the life with satan, I would rather choose the narrow and bumpy, because I know that once satan has his claws in you the wide and smooth road that you once saw will become even more narrow and bumpy, and dangerous, where as what started as the narrow and bumpy will turn into the wide and smooth which is the abundance of Jesus and all His blessings. All this boils down to one thing, in life you have ONE very important choice, and that is whether you choose to LIVE OR DIE…. Jesus provides you with eternal life, in heaven with Him. So what choice do you make? GOD or spiritual and eventually physical death? You cannot have both. You cannot have GOD in your life and at the same time live a life of sin, if you accept Jesus you have to accept Him 100%. I am not saying I am perfect and living a sin free life but I am trying VERY hard to live the life He wants me to live. Posted on November 7, 2011 November 18, 2011 Tags Being christian, Christianity, God, Happiness, Jesus, Lord's blessings, love, Peace, SatanLeave a comment on Why is it so easy to backslide?